Deoghar (Jharkhand), April 13 Admitting that the manufacturing sector is not growing as expected, India’s premier skill development platform, the National Skill Development Corporation (NSDC), is focusing more on the services sector — like tourism, hospitality and healthcare — to train millions of the country’s unemployed youth, its CEO Manish Kumar says. To ensure employability of trained men and women, Kumar told IANS in a wide-ranging interview that it was also laying stress on quality training of youth as the feedback received last year was that “the quality was a little low”. “Therefore, we have ensured high-quality training” in NSDC’s future programmes, Kumar said. “The ITIs (Industrial Training Institutes) focus on the manufacturing sector which, of late, is not growing well. The services sector is growing fast. Short-term skilling is focused on the services sector which is undergoing explosive growth,” Kumar said. NSDC is a public-private partnership under the Ministry of Skill Development & Entrepreneurship, its job being to interface with industry on the one hand and with the government on the other to ensure that the policies of the government connect with the industry. “We try to become a facilitator for skill development in such a way that whatever government policy is being made, it is perfectly grounded and is according to the needs of the industry,” Kumar said. Elaborating on future projects, Kumar added that NSDC’s priorities were aligned to the government’s priorities and initially, the ongoing Pradhan Mantri Kaushal Vikas Yojana (PMKVY) would be scaled up for better and quality skill training, depending upon the demand. He said 1,800 centres were currently running under PMKVY across India, but the numbers needed to be scaled up. The second phase of PMKVY, which was launched on October 2 last year, is an improvement on its predecessor. It has been designed to focus more on quality training. Around 2.3 million people have been trained under PMKVY and 400,000 under PMKVY-II. He said that skilling 10 million people by 2020 was not a tough task, but the real challenge was the quality of the training. “The Skill Development Ministry and NSDC have been focusing entirely on quality. We have to ensure quality trained people so that employability could be guaranteed,” Kumar said. He said that NSDC was also aiming to push for Pradhan Mantri Kaushal Kendras (PMKKs) — state-of-the-art model training centres — and open one in every district of the country. At present, 122 such centres are up and running of the 460 that are to be established. 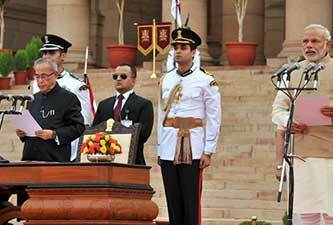 President Pranab Mukherjee inaugurated two of the 31 new PMKKs in Jharkhand on April 2 and six others in Bihar. Speaking about the employability of the skilled workforce, Kumar said NSDC, along with other concerned agencies, was keeping an eye by facilitating their meeting the demands of the market. Talking about new ways to improve skill development, Kumar said NSDC was aiming at futuristic jobs by training people for cutting-edge technology like 3D printing and automation. He said that automation is taking place everywhere and NSDC was in touch with the Adani group — which is considered close to Prime Minister Narendra Modi. He said that Adani is keen on training manpower for back-end automation. “This is the way we prepare ourselves keeping demand and supply in view,” he said. He said that job avenues have increased over the years as new players have emerged in the market. Employment of skilled people is dynamic and varies from one state to another. 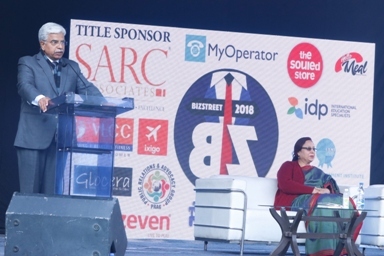 He said that importance of the skill development was not only restricted to the conventional fields but it was also expanding to the other areas. “The economy is changing with players like Ola and Uber, which require skilled drivers, and not only the cab aggregators but the demand of trained drivers is also increasing in the heavy vehicle industry,” he said. The NSDC was focusing on opening around 100 Driver Training Institutes (DTIs) wherever needed in the country to provide skilled and professional drivers required in different sectors. Kumar claimed that skilling people would make a huge difference in society as India was a very young country and has a lot of potential. He said that in the life of every country there is a period of 40-50 years which is termed the window of demographic opportunity. This window opened in China in 1980 and is ending in 2020. In South Korea, it came in 1960 and lasted till 2000.